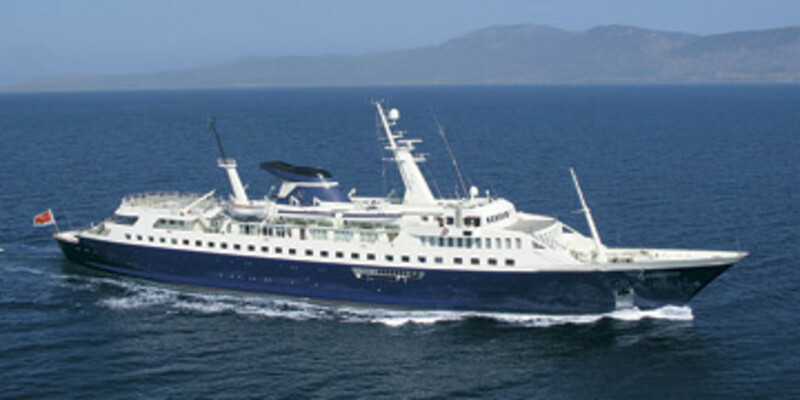 A converted cruise ship, Alexander has accommodations aplenty, with 27 staterooms that could entertain you and your entourage of 79. 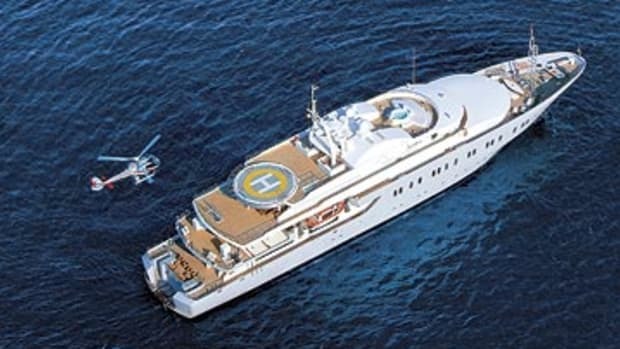 Alexander has a penchant for top-five-finishes: For the second year in a row, she comes in as number three on our list of the most expensive charters and number five on PMY’s annual exclusive list, The World’s 100 Largest Yachts. At 400’2", Alexander is also the largest entry on this list. A converted cruise ship, she has accommodations aplenty, with 27 staterooms that could entertain you and your entourage of 79. With this kind of room, Alexander is popular with corporate clients and other large parties. Moreover, more than half of her staterooms have an attached saloon that can double as a meeting room, and her charter manager, PrivatSea Yachting, says her discotheque can be easily converted into a large conference area. There’s also a 27-seat cinema that doubles as a video-equipped conference room. But how many corporations are willing to pay Alexander’s weekly charter rate of $789,327 plus expenses just to work all the time? That’s why she’s ready to help guests shift from work to relaxation and fun with distractions such as four tenders, a pair of PWCs, and an outdoor bar, swimming pool, and Jacuzzi. And when they get too tired to even play, they can retire to one of her suites, all of which have plasma TVs, wireless Internet access, and a digital on-demand library of some 500 movies.